In 1958 the government of India passed the Armed Forces Special Powers Act (AFSPA). It is still in place, and is being applied in the states of Arunchal Pradesh, Assam, Manipur, Meghallaya, Mizoram, Nagaland, Tripura, Jammu and Kashmir. In practice, the AFSPA allows soldiers to terrorize the citizens of the states where it is being applied. The soldiers' imminity from prosecution encourages them to act brutally. In the states of Northeast India where it is being applied, the brutality of the AFSPA leads to secessionist sentiment, which in turn, in the view of India's government, justifies the use of the AFSPA in these states. It is a vicious circle. On 23 March, 2009, the United Nations asked India to repeal AFSPA, an act that they considered to be contrary tp Article 4 of the Internationl Covenant of Civil and Political Rights. The UN Commissioner on Human Rights, Navanethem Pillay termed the law a “dated and colonial-era law that breaches contemporary international human rights standards.” The United Nations also questioned the constitutionality of the AFSPA under Indian law. On March 31, 2012, Christof Heyns, the UN's Special Rapporteur on extrajudicial, summary or arbitrary executions, again called on India to repeal the AFSPA. “During my visit to Kashmir”, he said, “AFSPA was described to me as 'hated' and 'draconian'. It clearly violates international law”. 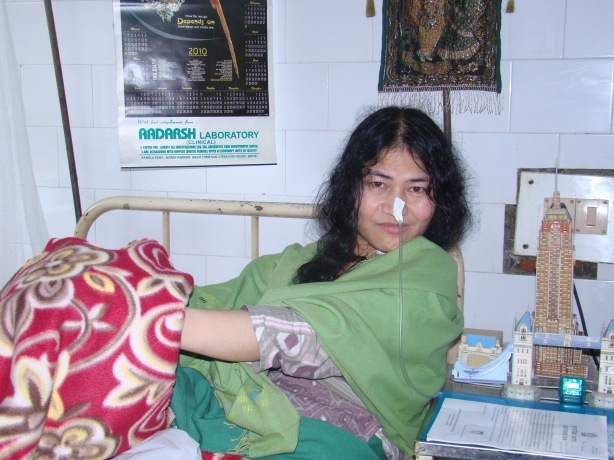 Since 2000, a woman from Manipur named Irom Sharmila Chanu has been on a hunger strike, protesting against the AFSPA. She is still alive only because she is forcibly fed through a tube passing through her nose and down her throat. She has been kept in prison for a decade on the charge of attempting suicide. Sharmila's fast is in the tradition of Gandhi's nonviolent resistance, and she says that she will stop only when the terrible act is repealed. However, Sharmila's physical condition is deteriorating, and if the act is not repealed soon, her long fast may end in death. The attention of international human rights groups would help to hasten the repeal of the unjust Armed Forces Special Powers Act. With its repeal, the states of Northeast India could become equal partners in a democratic India. At present they are terrorized and unwilling colonies.